Xuying was born in Tangshan, a city in Hebei Province of China. She received her B.S. degree in Materials Science and Engineering from Dalian University of Technology (DUT) in 2014. After that, she started her Master’s study in University of Illinois at Urbana-Champaign (UIUC). 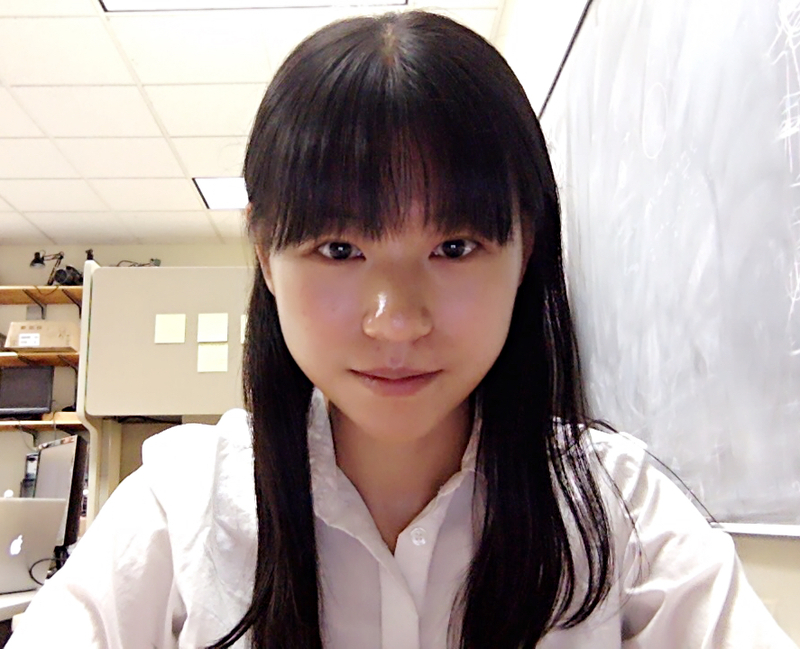 Xuying worked on In situ PicoIndentation test of metallic multilayer interfaces and tribo-films using transmission electron microscope (TEM) under Professor Shen J. Dillon in Frederick Seitz Materials Research Laboratory (MRL) and received her M.S. degree in 2016. She joined Voyles Group as a research assistant in 2016 fall. Xuying’s current work in Voyles group is focusing on Radiation-induced swelling and microcracking in SiC cladding, using In situ TEM with a PicoIndenter to investigate micromechanical properties and correlations between cracks and microstructure. She will also work on identifying and characterizing defects and clusters in SiC under STEM. Xuying Liu, Rui Hao, Shimin Mao, Shen J. Dillon. “Shear Strengths of FCC-FCC Cube-on-cube Interfaces.” Scripta Materialia 130 (2017) 178-181. Xuying Liu, Ching-Yen Tang, Rui Hao, Kathleen Walsh, Chunliang Zhou, Shen J. Dillon. “Local Chemo- mechanical Insights into the Efficacy of ZDDP Additives from in situ Single Asperity Growth and Mechanical Testing.”? Tribology International 112 (2017) 103-107. Shen J. Dillon, Daniel C. Bufford, Gowtham S. Jawaharram, Xuying Liu, Calvin Lear, Khalid Hattar, Robert S. Averback.“Irradiation-induced Creep in Metallic Nanolaminates Characterized by in situ TEM Pillar Nanocompression.” Journal of Nuclear Materials 490 (2017) 59-65.